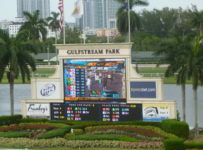 Gulfstream Park has added Wednesday Sept. 20 and Sunday Oct, 1 to its live racing schedule. 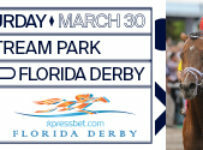 The races on those two days will help Gulfstreaam make up for some of the handle it lost when it cancelled seven race dates due to Hurricane Irma. 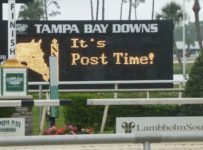 This Wednesday, Gulfstream will have ten races with first post of 1:15 p.m.
Gulfstream’s condition book shows eight races scheduled on Oct. 1. 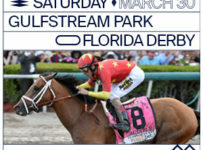 It is likely that Gulfstream will add more races to that card. 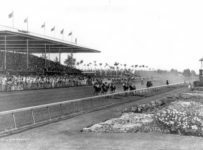 None of the races listed thus far are claiming races. 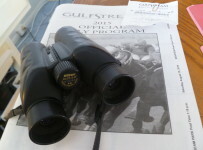 It is apparently a case where Gulfstream is using meet-end money from its purse account to provide opportunities to high-end allowance/optional claiming horses in the barns of trainers and owners who race year-round in South Florida. 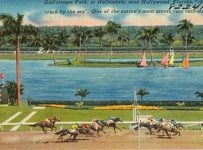 Gulfstream is in Hallandale Beach, Fla., about 15 miles north of downtown Miami and 15 miles south of downtown Fort Lauderdale. 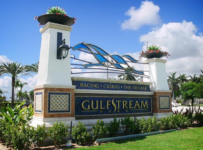 With Irma heading toward Florida, Gulfstream on Sept. 5 cancelled its races scheduled for Thursday Sept. 7 to Sunday Sept. 10. Irma caused considerably lesss damage in the Miami-Fort Lauderdale area than what was expected by forecasters. 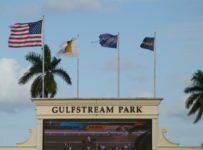 Gulfstream had what it called minimal damage at its facility. 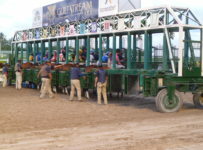 But it did not hold racing last Wednesday through Friday, to give trainers and horses time to reumse their normal routines. 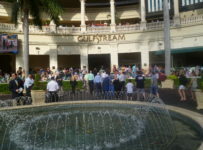 Sunday Oct.1 will be the final day of the Gulfstream summer meet that began July 1. 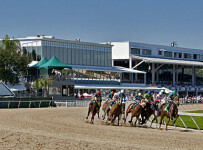 The meet had been scheduled to close on Saturday Sept. 30. 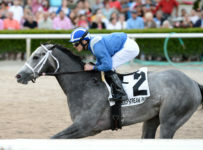 That day Gulfstream will have six stakes races, including the third and final legs of the two divisions of the Florida Sire Stakes series. 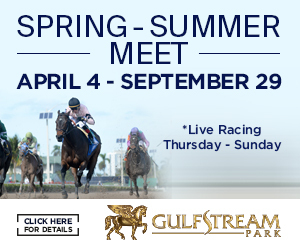 The 40-day Gulfstream Park West meet (run by Gulfstream) will open at Calder in Miami Gardens, Fla., on Wednesday Oct. 4.